Being able to see the possible surgical results in 3D (as opposed to looking at pictures of others or imagining the results) can help immeasurably with your decision making. 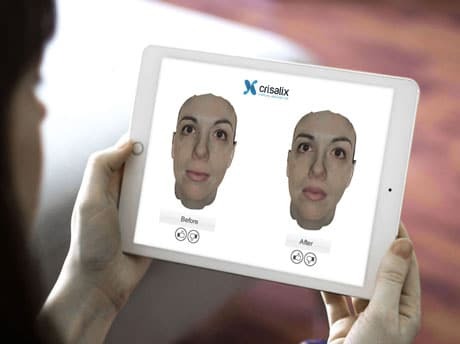 CRISALIX offers realistic 3D simulations of surgical outcomes. Ask your surgeon about CRISALIX when you see us to discuss your treatment. Unsure? Discover the new you with CRISALIX during your consultation with us .